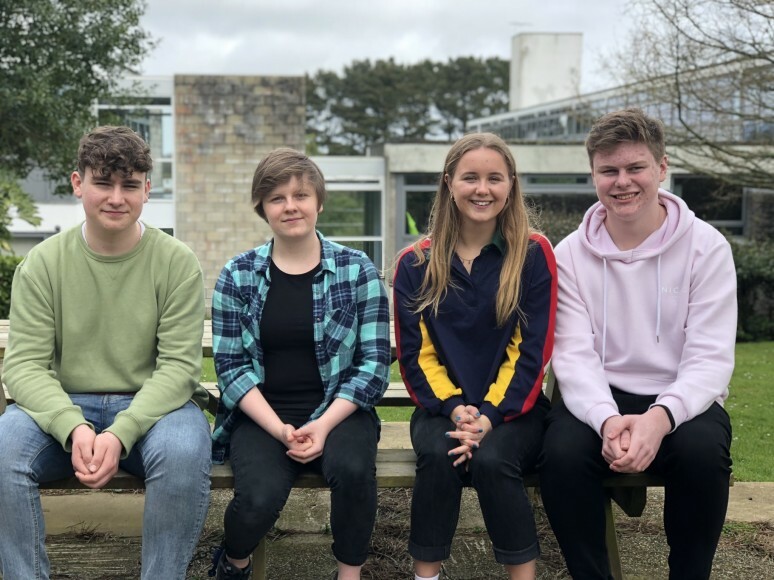 Falmouth College have elected a new Student Presidency Team for 2018/19 after a tough interview process. With the quality of applicants high, it was a difficult decision for the College team, but they eventually appointed Sam Holland as the new President, who will be deputised by Hannah McMillan-Pardoe and Millie Revell. Jack Pentecost will take up the new role of Environmental Lead. The new team will begin their tenure when students return from the Easter Holidays on Monday 16 April, taking over from the current team of Ruby James, Eleanor Daniell, Jonas Van-den-Heuvel and Amazon Doble. There will also be a formal handover process on Wednesday 18 April. The new team’s first task, will be to welcome the new Falmouth College students by starting a mentoring scheme, to ensure next year’s Year 12s are made welcome and have a smooth start. The new Environmental Lead, Jack Pentecost, will be working to reduce single use plastics in the College and wider community.